The third floor of Bellevue Square Mall, next to the Kids’ Cove. Elevators to the third floor are located in Center Court near Guest Services and Beecher’s. 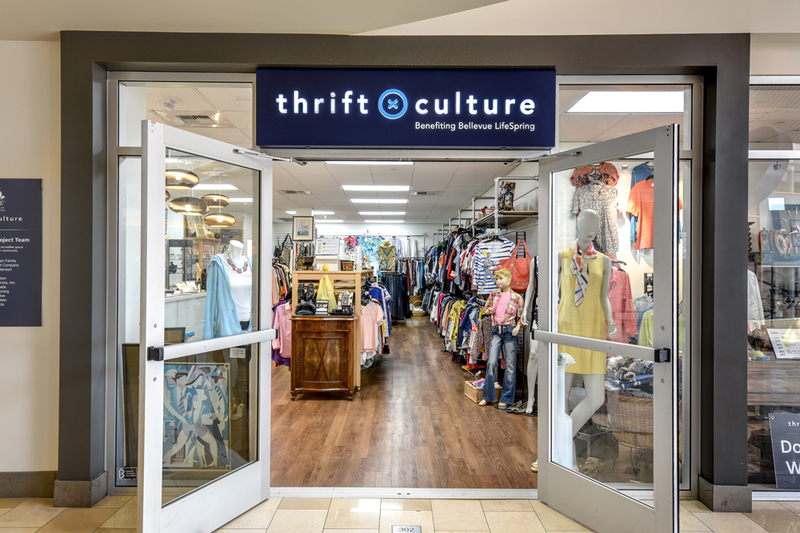 Thanks to the generosity of the Kemper Freeman family and Kemper Development Company, Thrift Culture pays just $1 a year in rent. Proceeds from each Thrift Culture purchase go directly to Bellevue LifeSpring programs that feed, clothe, educate and provide emergency support for local children living in poverty. Get exclusive sales from Thrift Culture and news from Bellevue LifeSpring about your impact!